It is official! Friday, November 30, 2018, neighboring country leaders, United States President Donald Trump, Canadian Prime Minister Justin Trudeau and Mexican President Enrique Pena Nieto were able to come together in Buenos Aires, Argentina during sidelines of the G20 Summit and sign a newly renovated NAFTA. The new agreement is now called the United States-Mexico-Canada Agreement, otherwise known as USMCA. By the way, it is normal practice that each country puts its own name first in multilateral treaties. Canada will change the order of the countries in its legal version of the name, putting Canada first (CUSMA). Mexico will call the new agreement (TMEUC). U.S. Section 232 tariffs on steel and aluminum are still pressing issues for the leaders of Mexico and Canada, but the new agreement had to be signed before end of November 30, 2018 before the newly elected president of Mexico, Andrés Manuel López Obrador (AMLO), took office on December 1, 2018, starting his six-year term. If the agreement had not been signed before the end of November 30th, AMLO was said to open up new chapters and more discussions. After so many months of making headway, the current leaders wanted to push forward with a new and modern agreement. 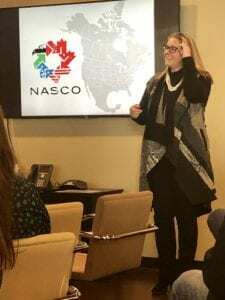 All of this happened just hours before NASCO’s Tiffany Melvin flew in to update Kansas City on NASCO’s efforts in playing a part in making North America push forward in infrastructure, modernization, skilled labor, and more, making North America a very strategically competitive continent. 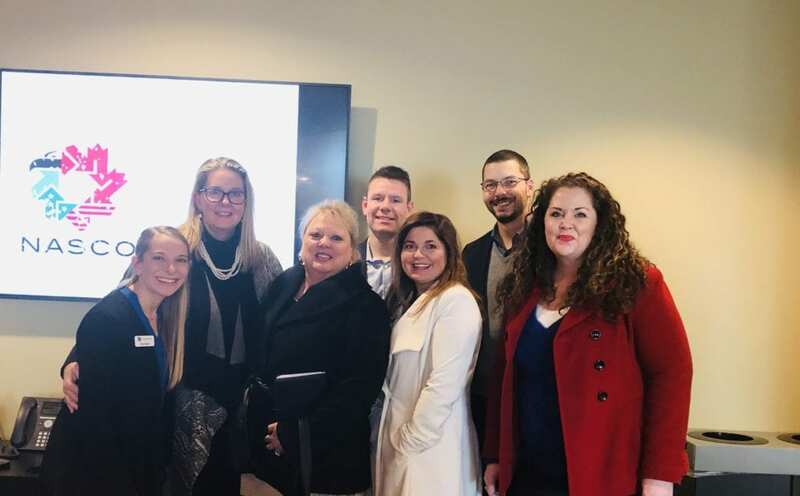 In fact, just in September, NASCO along with members such as Scarbrough and Dickinson Wright, met with CBP Comissioner Kevin McAleenan to discuss several components. One strategy presented to the Commissioner was the 21st Century Border Action Plan for USA and Canada. The plan contains some very easily attainable action plans to alleviate congestion at the U.S.-Canadian border, for example. Tiffany says Mexico is next. Scarbrough is a longtime supporter of the North American Strategy for Competitiveness. If you have any interest in connecting with leaders across the nations, definitely check out the nearly 25-year-old organization.